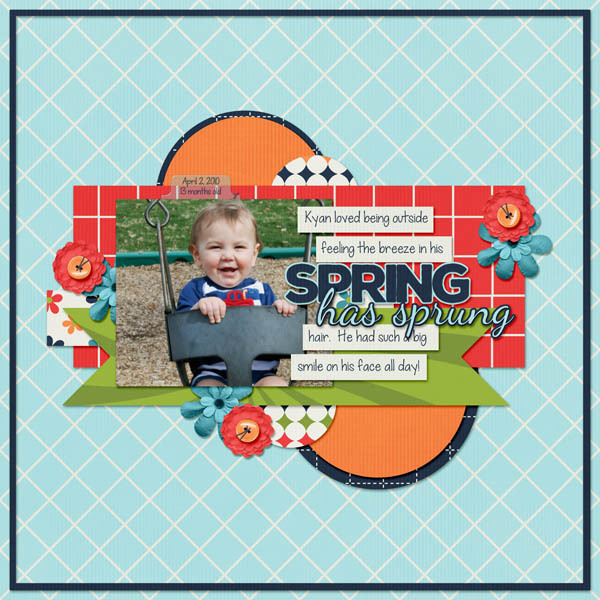 Every four years, February gets one extra day. 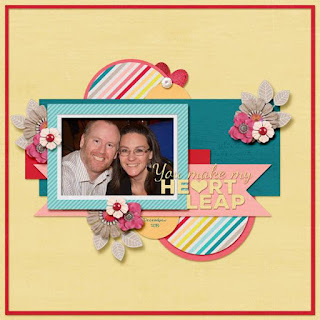 So in honor of this, the designers at Scraps N Pieces are having a Leap Day Event. 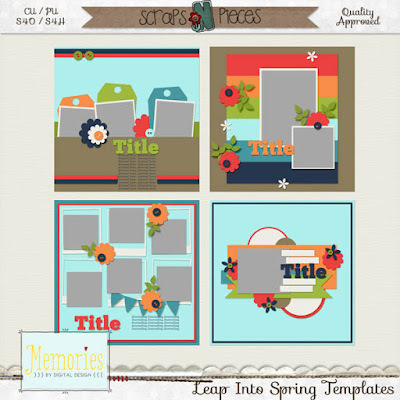 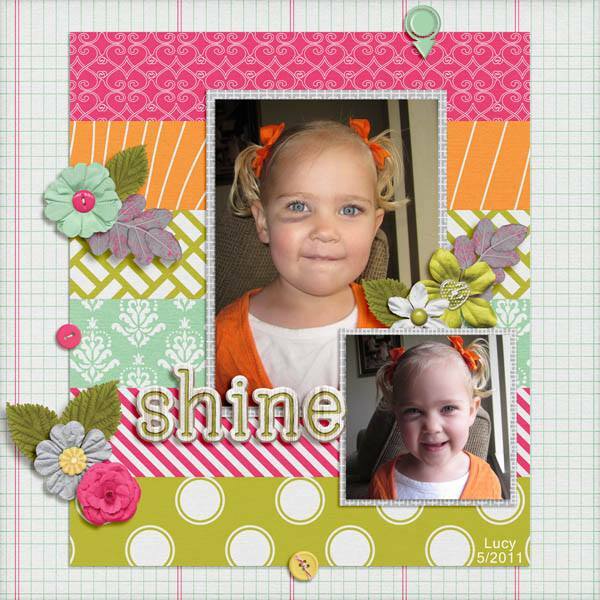 Releasing new today is Leap Into Spring templates 50% off through March 6. 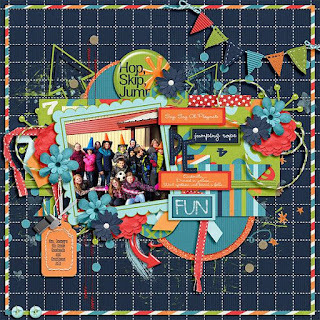 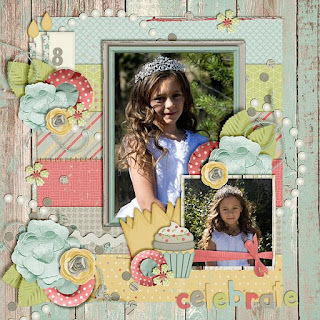 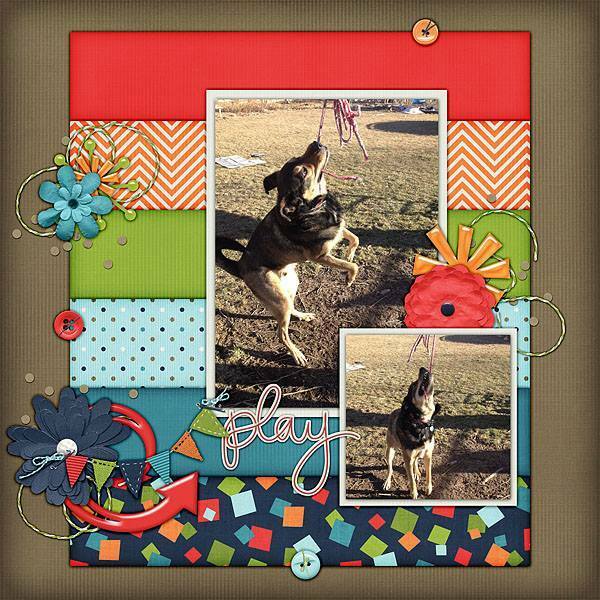 Here's my layout using Scraps N Pieces new kit, Hop Skip and Jump. 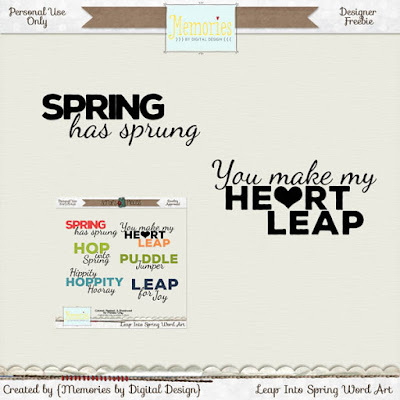 Here are two word art images from my Leap Into Spring mini word art pack. To get the other four for free, be sure to sign up for my newsletter and check my Facebook page. 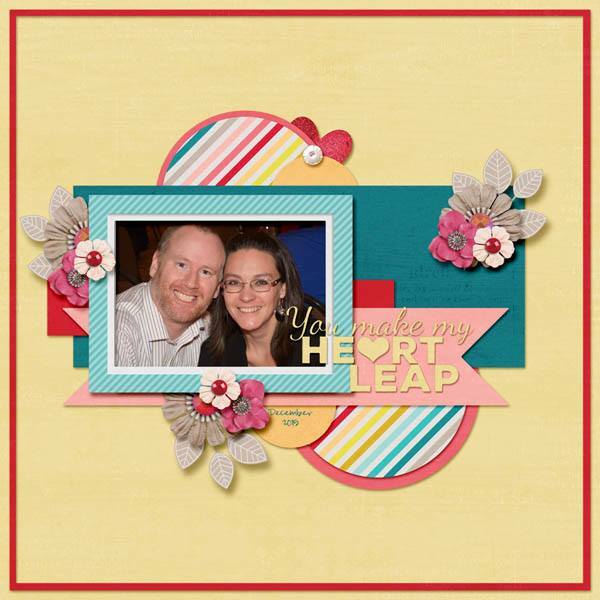 Be sure to head over to the forum and check out where else you can grab some awesome Leap Day goodies. Awesome word art. Thank you! 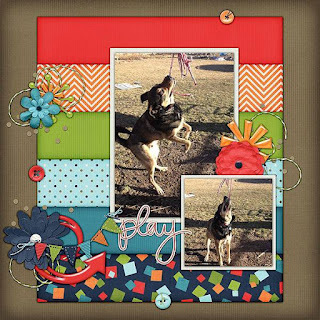 Trying to get the word art but it wants to charge me even though I am in the time frame for the freebie. 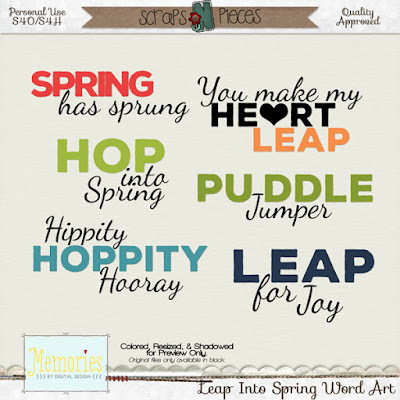 Hop, jump, or leap into spring with this fun new mini-word art pack!